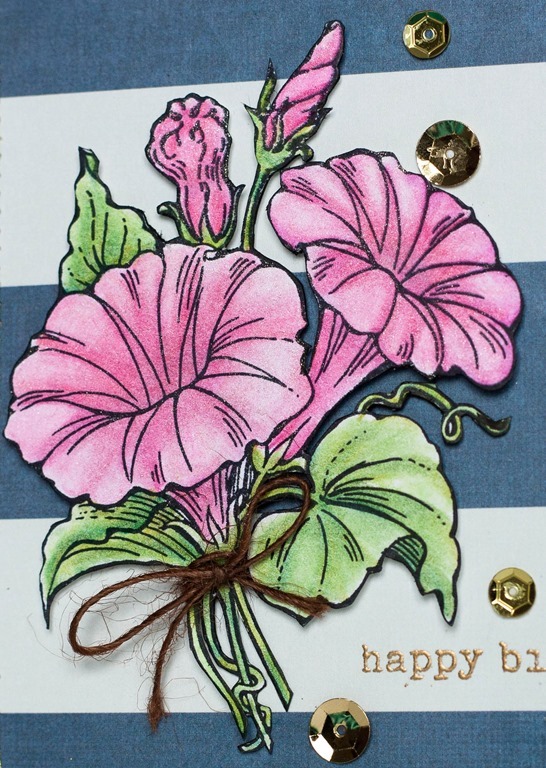 Today I’m up at DESIGN in PAPERS with this card using a pretty floral stamp from Stampendous called Morning Glory. I sort of suspect these are really blue flowers, but I really don’t know. I like pink flowers so that’s what I made ;) I also made a video coloring them, again using the Spectrum Noir Blendable Pencils. I think I’m learning to like navy, with pink and gold it actually looks good. I do however love wide stripes. Therefore I like this card. 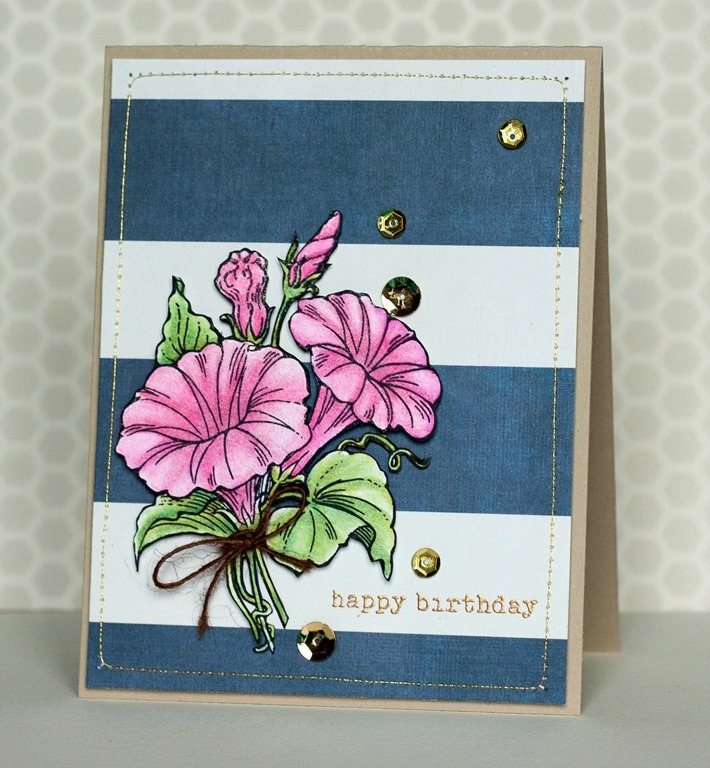 Here is a close up on the image, I used a Wink Of Stella pen on top of the flowers. Very cute. Here is me coloring the image, I sped it up quite a bit. I’m not really that fast ;) I think it took about 25-30 minutes to color this image. That is kind of fast. I hope you like it! So, see you another time!